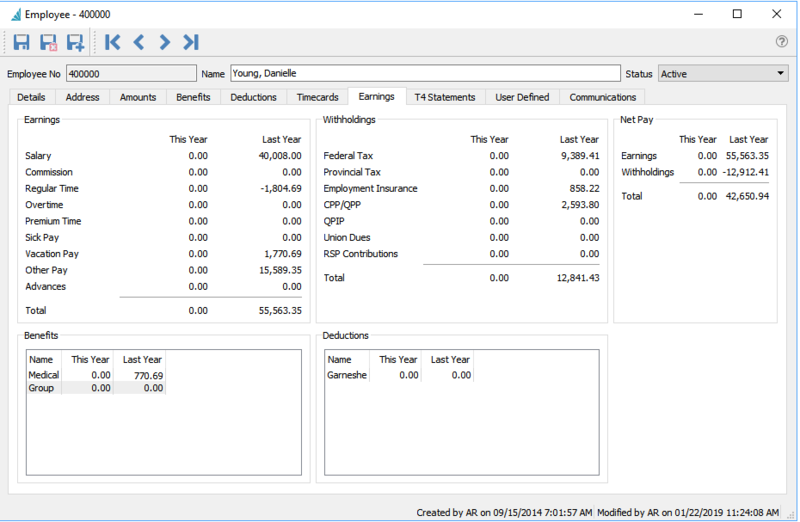 Even though the payroll year end has been completed the user can still back date a payroll timecard to the previous year just in case it needs to be done. Timecards done in the previous year will use the correct year’s tax tables. !Payroll timecards are not allowed in the new calendar year until the prior year payroll has been closed. To perform the payroll year-end make sure the following items are completed first. 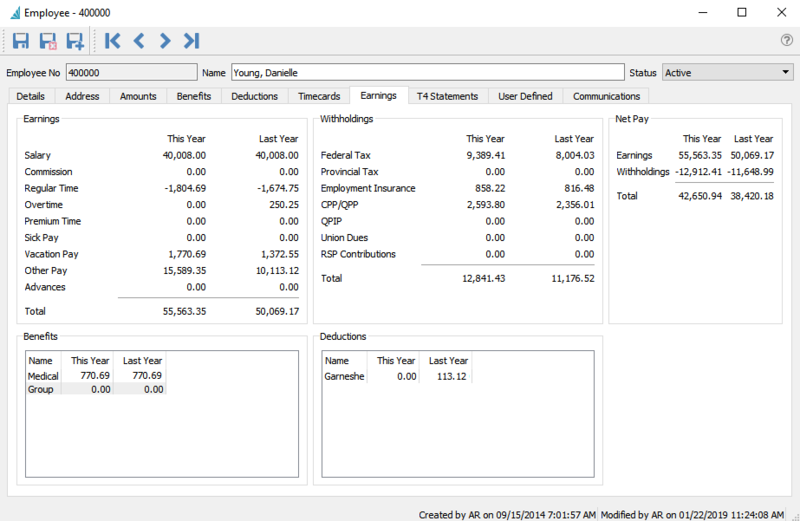 Install Spire version that contains the latest payroll tables on all workstations. Employees Payroll Earnings after Year End. The user will be prompted to update the TD 1 amounts after the year close. They can perform this now or wait until after as below. The user can then accept the updated percentages on the federal and provincial tabs or edit the percent or amounts if necessary. Click “apply” to update. This is a good time to review each employees TD1 claim amounts. !Only run this once, or else the percentages will be done again and the amounts will be incorrect.